One thing is the Chanel show another is the guest that come and hoy they arrive, that is just another story on its own. Chanel’s guests are mostly clients they do wear the brand from head to toe, and I am sure they have a hard time choosing what wear (among all their ensembles) when they come to the show. 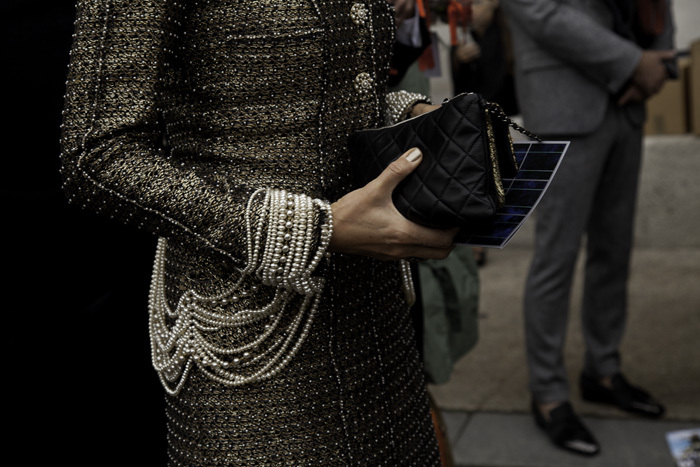 This woman stroke me, I think she was wearing Haute Couture from last season, shoes and bag, and of course her chauffeur brought her, that is the other Chanel experience, I would not mind to try it one day :). Soon I will prepare for you a post what happened inside and outside this surreal show.